Group Housing 6 Bedrooms + Den, 4 Baths, (Sleeps up to 18). Book 7 days in advance of arrival is minimum expectation. Beach House Vintage Cottage 4-Plex! GET IT IN NOW AS WE CELEBRATE A DECADE IN THE BIZ!! 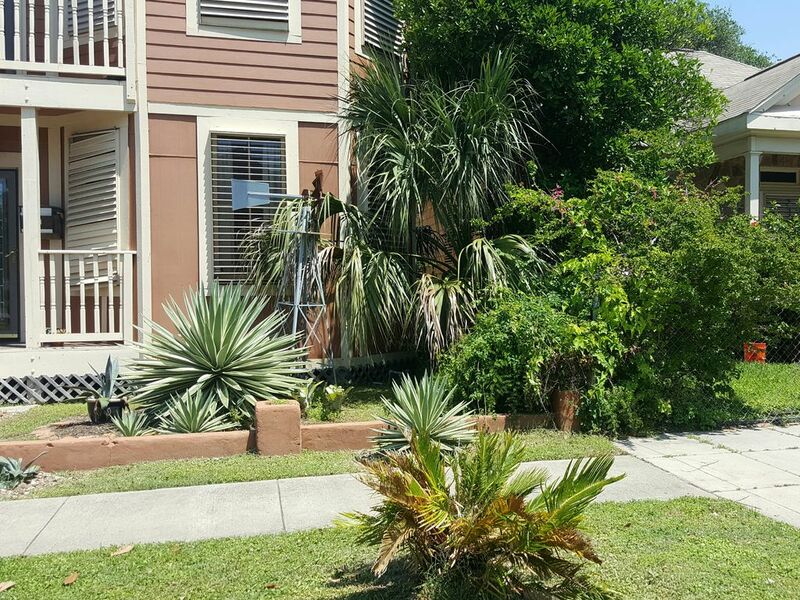 DON'T WAIT AS THIS 4-PLEX PROPERTY IS RENTED IN A MYRIAD OF WAYS! IF YOU SNOOZE YOU'LL LOOSE OUT! THANKING YOU IN ADVANCE FOR USING THIS SERVICE! SUMMER IS ON THE HORIZON! YOUR PARTY OF 8 TO 18 is welcomed! TIME WAITS FOR NO ONE! AND WE ARE LOOKING FORWARD TO A GREAT 2019! Book it Now! Call or email us for availability update! Beach House Rental, Vacation Rental, Corporate Stay, Extended Stay, Medical, Short Term Rental for large groups. CALL FOR RATES and CURRENT CALENDAR UPDATES!! LIMITED SPACE AVAILABLE! Call for group travel, Cruises, Business Travelers , Engineers, Corporate Teams, Legal Professionals doing business on the island. Call for availability. What's next: Beaches and more on the island of Galveston. Hattie's Place, Too...a fantastic 4-Plex priced for PROM GROUP stay as we can sleep up to 18-20 for group pricing!! Short Term/Extended Stay Rental for 6 weeks or more! Business Travel! If you or someone you know work in the Oil & Gas or Chemical refinery industry in Texas City Tx. Tell 'em to come on down! Why stay in a hotel or motel near the refineries. Not to mention having to eat at the diners! We're the ultimate Bed and Kitchen (B-n-K) just 10 minutes away! Our Place is your destination 'Place' on the island. Short Term Rentals for 2018 is being booked now. Book your Business Travel for Galveston or the Mainland with us! BOOK IT NOW AND GET IT IN! The Ultimate Bed & Kitchen (B&K) on the island is ready for you! We have 4000 square feet of space, featuring the essence of the past with the contemporary flair of today! You'll find the fully furnished and supplied suites offers queen bedrooms, entertainment/sleeping parlors (surround sound audio and video system), Vintage baths (claw foot) and more. Keywords: Extended Stay Cottage Apartment House, Private house, 4 Private Suites 2 blocks from Beach, Joe's Crab Shack and beautifully decorated! Beach, Vacation Extended Stay, Medical, Short Term Rentals!! Call for details on weekly rates, contract required. Hattie's Place, Too is an original circa 1930 vintage cottage apartment house! A 4 plex, that has 4 suites under one roof. Great for family or grouo gatherings! We offer a variety of floor plans depending on your needs. The fully restored property has all the comforts you would expect, vintage showers and baths, wi-fi internet, Cable, complimentary washer and dryers and much more! You'll love the location as it's centrally located on the island and accessible to all that Galveston has to offer. Parking Passing for Seawall access? Only if you want it! You can walk to the beach. Nostalgic beauty like no other on the island! We can accommodate 1 to 18! The original hardwood floor are amazing, fully restored kitchens with all that you need to create your favorites. You'll love it too! Hattie's Place , Too! Four Full Vintage Baths, 1 in each suite. Rent the entire property and have access for the full house/ 4 baths! A quick walk to the beach! Can you say Beach Volley Ball! Each suite is fully equipped for dining. Thank you Sarah for your kind words! I wish there was a 10 rating :-). You all are welcome back any time! The feeling is definitely mutual! We love it when our guest enjoy their stay with our accommodations! The place is centrally located that there are some many options to navigate the island! It's appreciated the care shown to the property as well! It's a win win for all! Truly, your time was appreciated! See you on the rebound! We had a great time here, it was perfect for our large family. Can't wait to return! Thank you Elizabeth!! You guys are welcomed back and we welcome your return visit this fall! Really special and quaint home for families share time. This home is truly a one-of-a-kind early last century comfortable home that allows different family units to have their own apartment, but each of the 4 units open into a hallway and staircase. The accommodations were clean and inviting! The period decor in each unit were uniquely different and we all visited each to experience their uniqueness. The backyard was beautiful, as well as the front yard with beautiful blooming bushes and trees. Bedding was very comfortable and pillows were abundant. Not only will we have lasting memories of our family wedding, but also of this special place for us to visit! We love that your experience was as unique as we think Hattie's Place Too has to offer. Thank you so much!! You and your group are welcomed back anytime!! Uniquely decorated early last century coastal home with great accommodations for our large family to visit and enjoy our weekend in Galveston. The back yard was great place to enjoy visiting and taking in beautiful landscaping. We had every thing we needed from linens to kitchen needs in each of the 4 apartments. Great neighborhood, clean place, good price.. this place was just what we needed for work on the island! Thank you so much! Thank you! Glad you had a great stay during your time on the island!! My family stayed here for our vacation and it was like being at home. The space was great and it was walking distance to the beach. The room was nicely decorated and had the full kitchens were a plus. Would definitely stay again. Thanks Kellena for your visit with your family!! We're excited that your Suite DAD's Den met your needs!! Keep Hattie's Place Too in mind the next time your travels bring you to our island in the Gulf!! Pleasure Pier, Bike Cart Rentals, Brick HOuse Tavern, The Spot, and more Restaurants! The Strand, Railroad Museum, The 1894 Grand Opera House, Mardi Gras Parade Route, Ferry etc. IN April 2019 rent 3 nights and get the 4th night free! Per contractual terms, deposit may be waived and placed on Hold. As long as the property is returned to us as received. Nothing is lost missing or broken. You may be required to present a valid credit card at check in against damage.